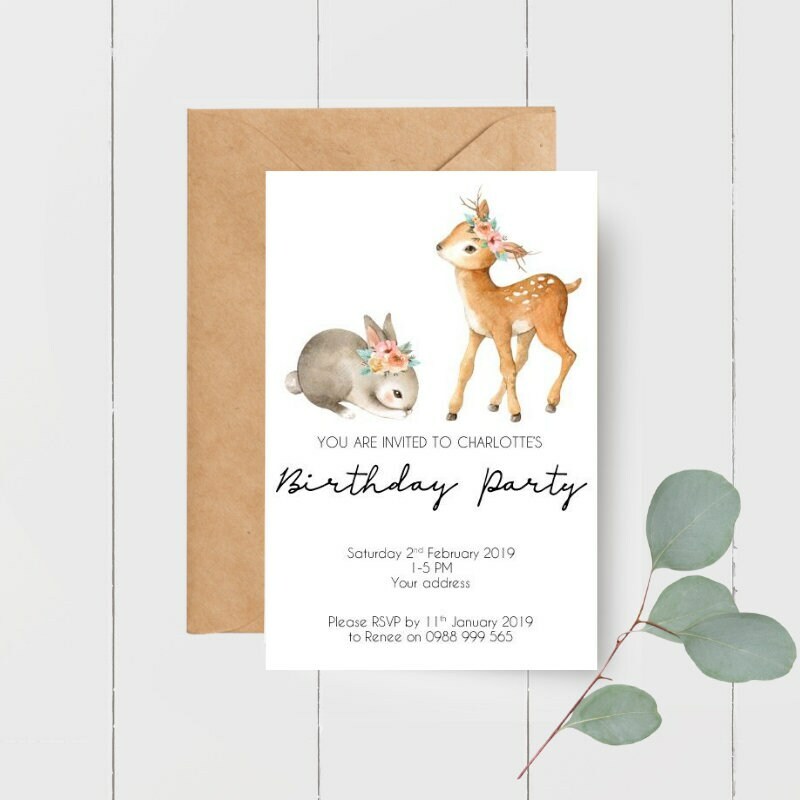 These invitations feature an adorable deer and bunny rabbit each with a floral crown. You will receive 20 invitations with envelopes. Please send me a message if you would like a larger or smaller quantity.